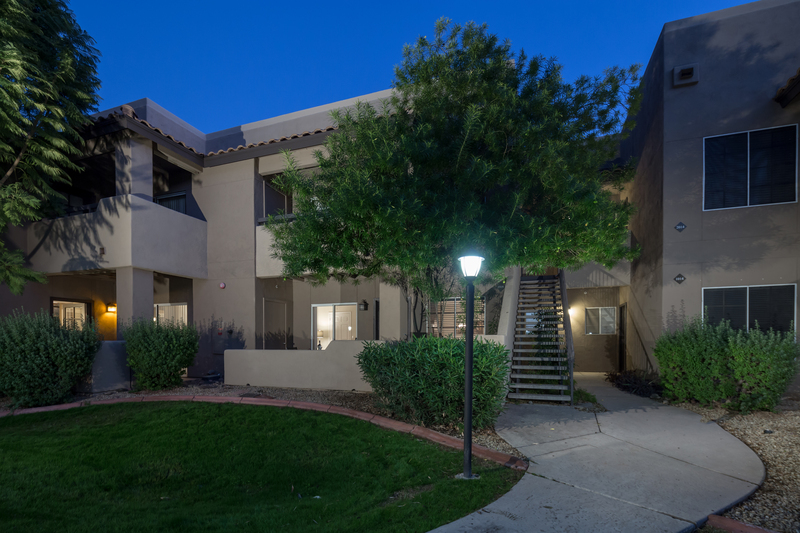 Relax and enjoy this sublime totally redone 1 bedroom 1 bathroom condo in the highly sought after Aventura complex in North Scottsdale. All new - tastefully tiled, furnished & redecorated. Unit has new appliances including a full size washer & dryer. 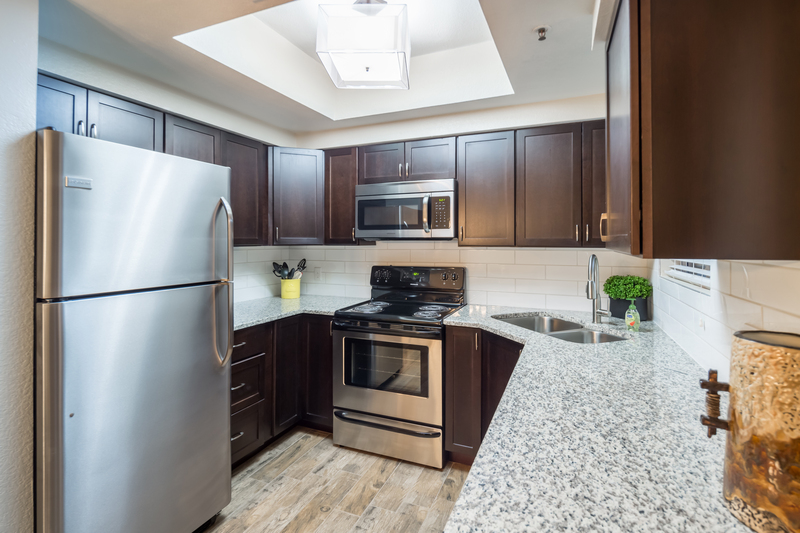 The fully stocked kitchen has granite counter tops and stainless steel appliances which will help make meal prep a breeze. 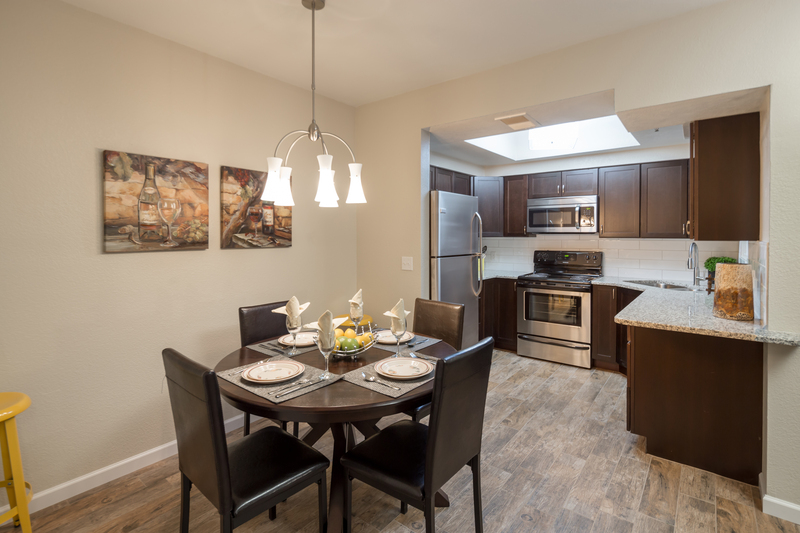 The dining area has a wonderful wood dining table that seats 4. 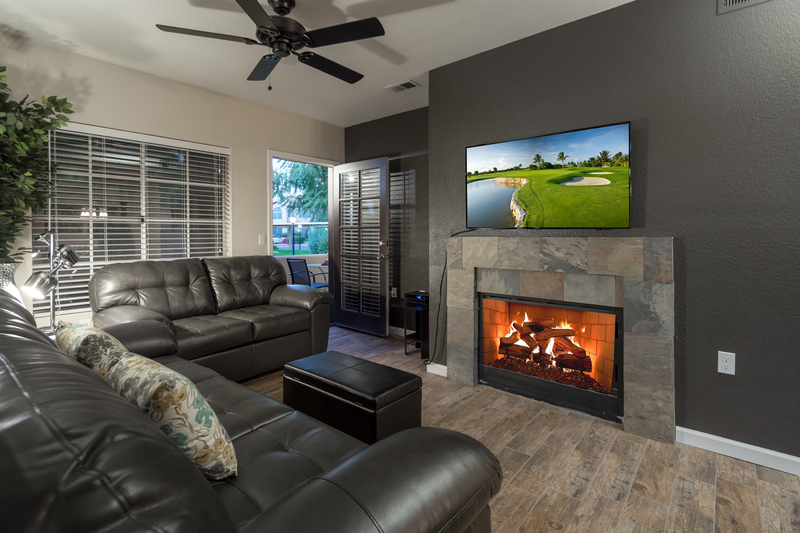 The living room has cozy leather sofa and loveseat where you can enjoy the fireplace and large wall mounted TV. 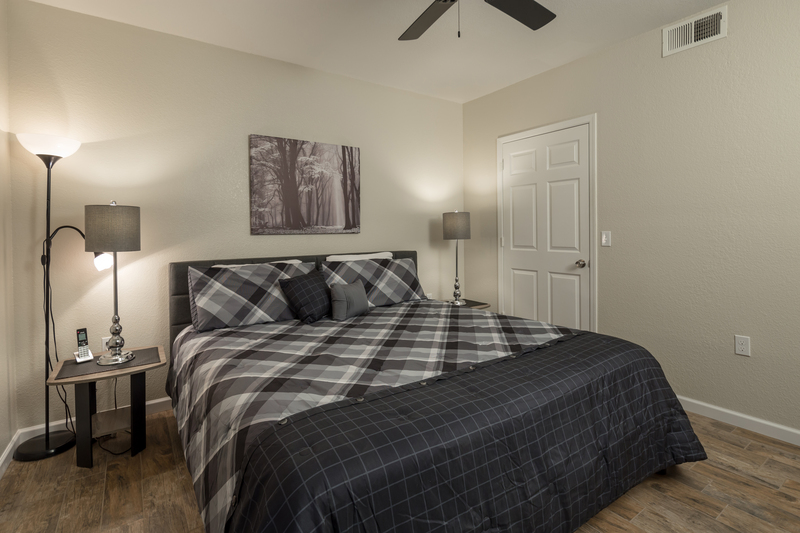 The master bedroom has a TV, dreamy king sized bed, 2 bedside tables with reading lamps, a dresser and a nice walk in closet with plenty of room for your clothing. 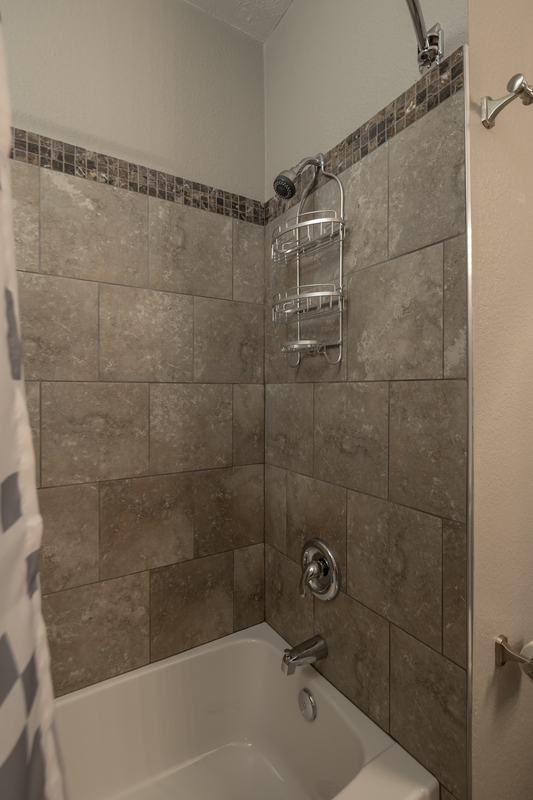 The bathroom has a shower/bathtub combo with beautiful tile surround and vanity with granite counter top. 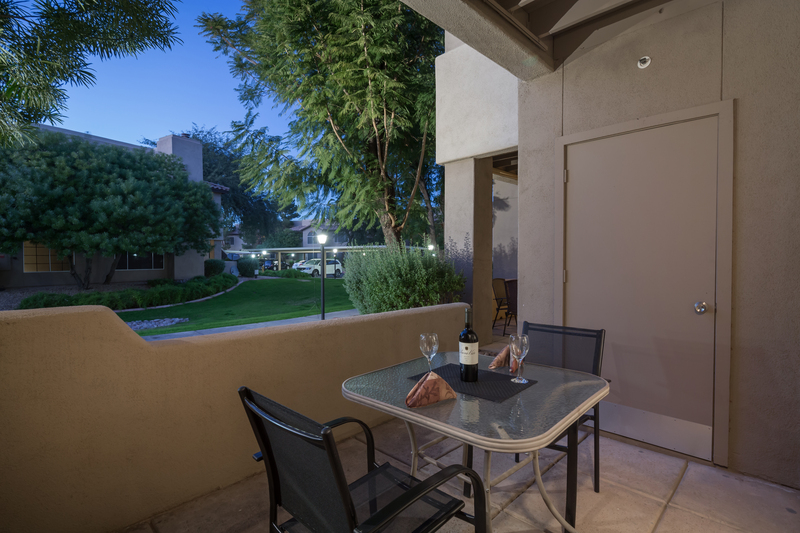 Don't forget to dine al fresco on the patio with dining table for two. 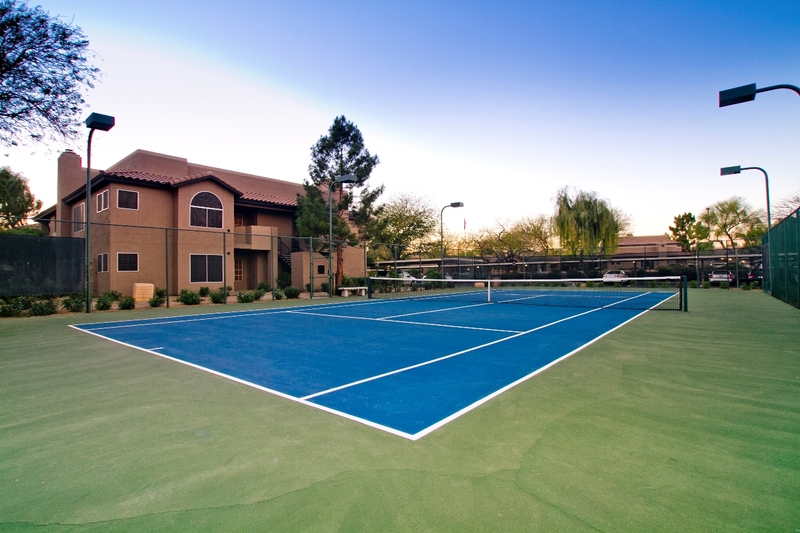 Start your day in the complex with a round of tennis -work out in the work out room or walk/run on the path that is close by. Relax by one of the 3 new pools- the largest heated pool is steps away from your door with a large comfortable lounging area - hot tub, gas fire pit & a clubhouse to relax in if desired. 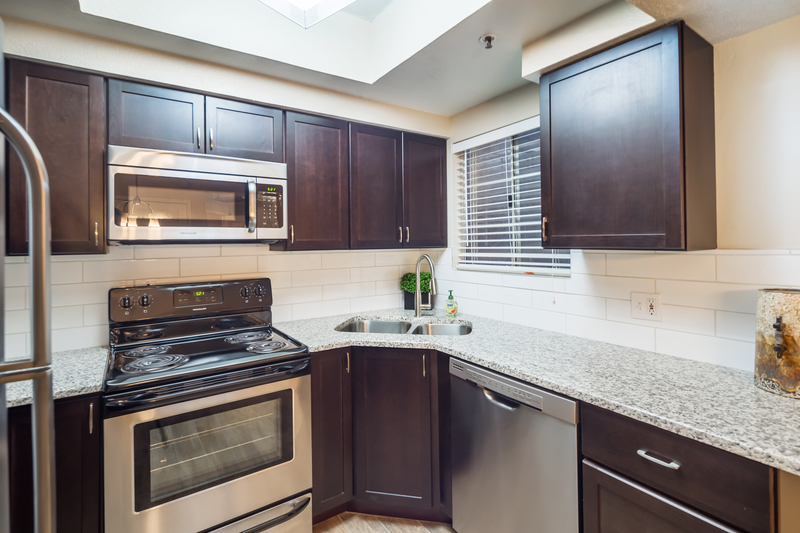 Cook a meal in the fully stocked kitchen or BBQ on one of the gourmet gas grills just steps away. Private deck on green space for your enjoyment. 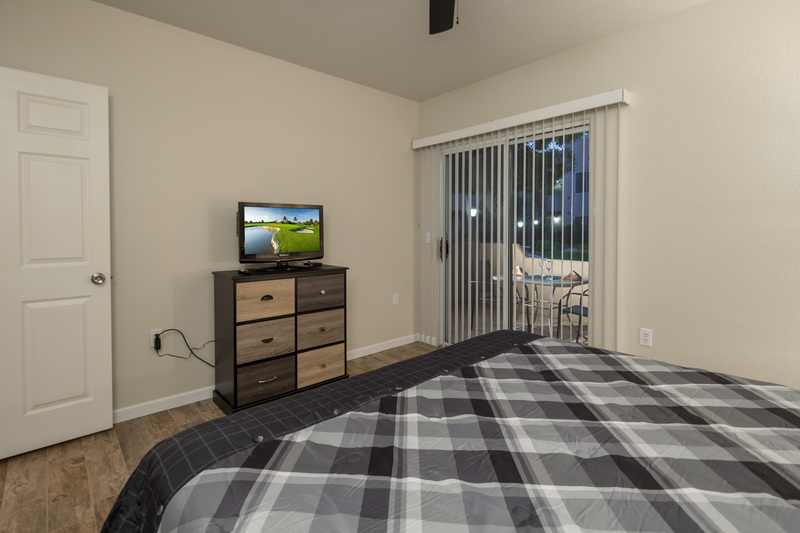 Smart TV in main area of condo & TV with DVD in large bedroom. 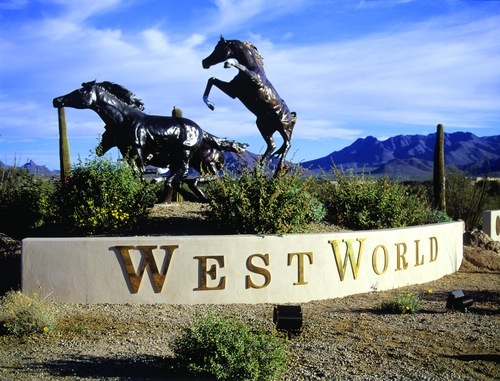 The area has great shopping & amazing restaurants sure to satisfy everyone's taste. 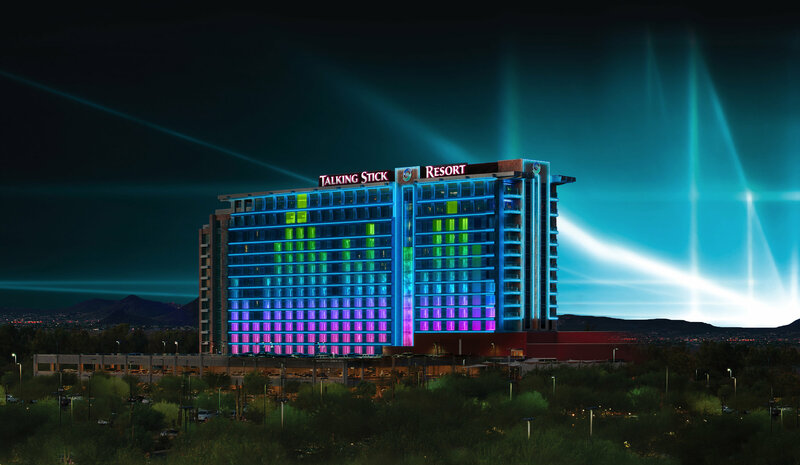 Enjoy all activities available in Phoenix area- sporting events- golfing-art shows & markets just to name a few. Something for everyone whether your plan is to relax or explore. 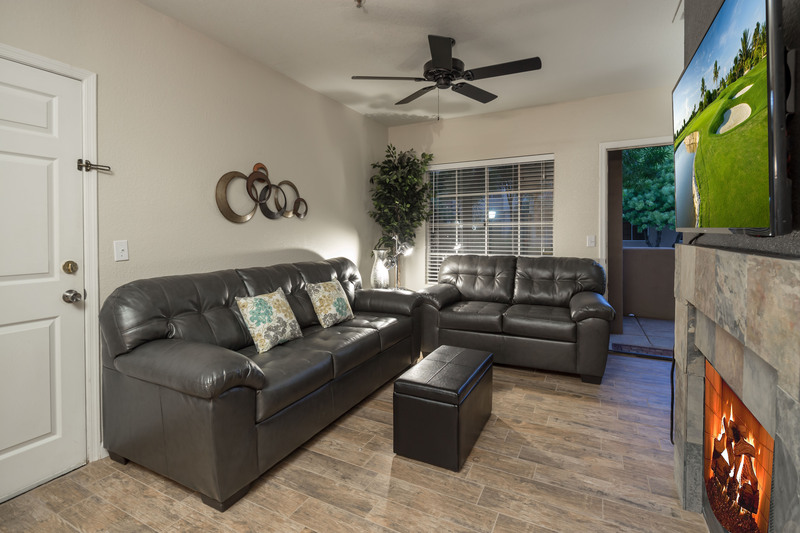 Easy access to Sky Harbor & minutes from West World. 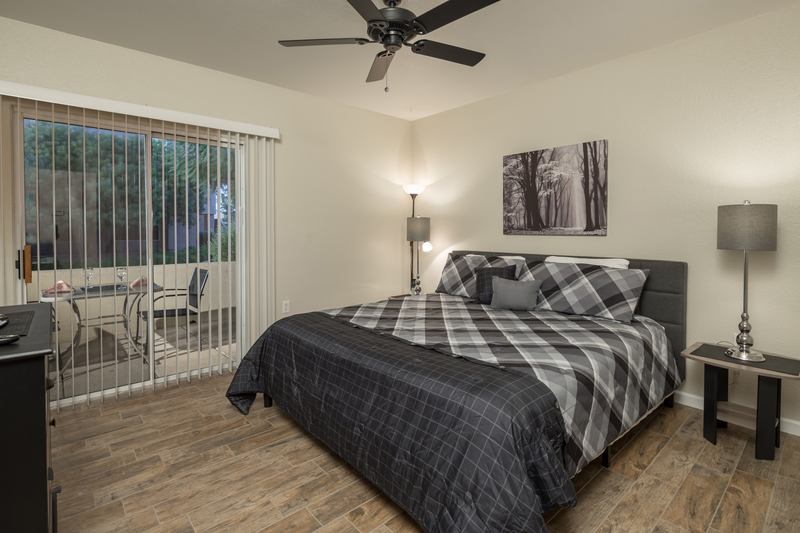 Unit is ground floor & wheelchair accessible. 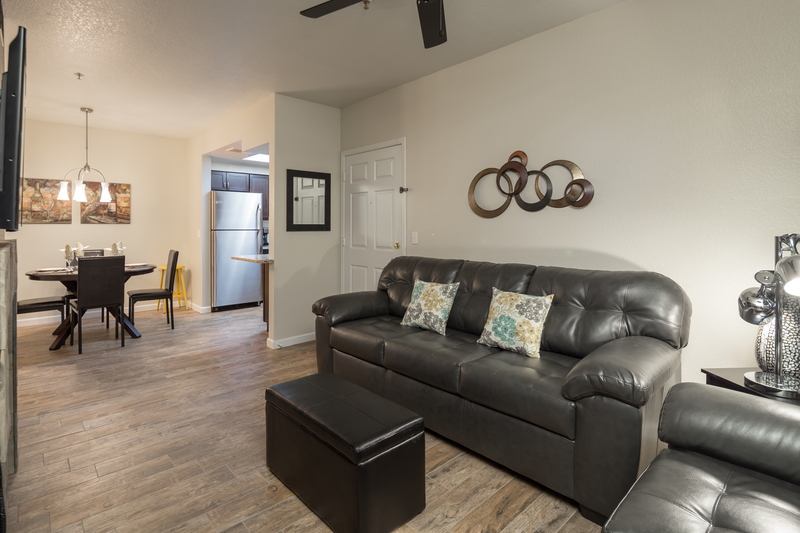 You can also rent the Aventura Supreme next door which is a 2 bedroom unit with the patio adjoining this unit for larger groups. 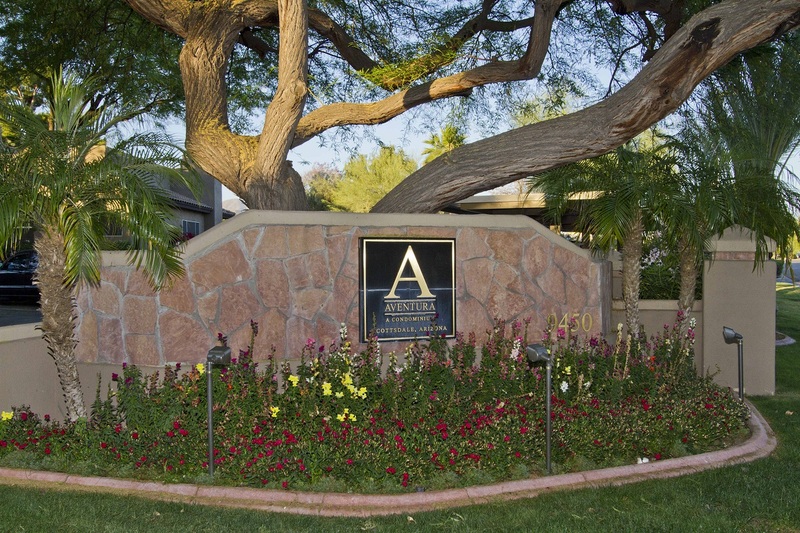 Aventura is a quiet family-oriented condo complex just east of the 101 at Shea and 96th. 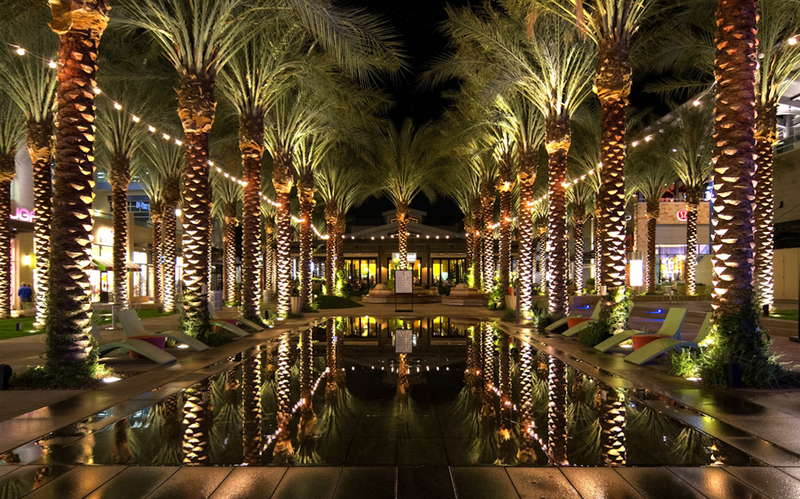 It is north of Old Town, it is really in the center of Scottsdale. 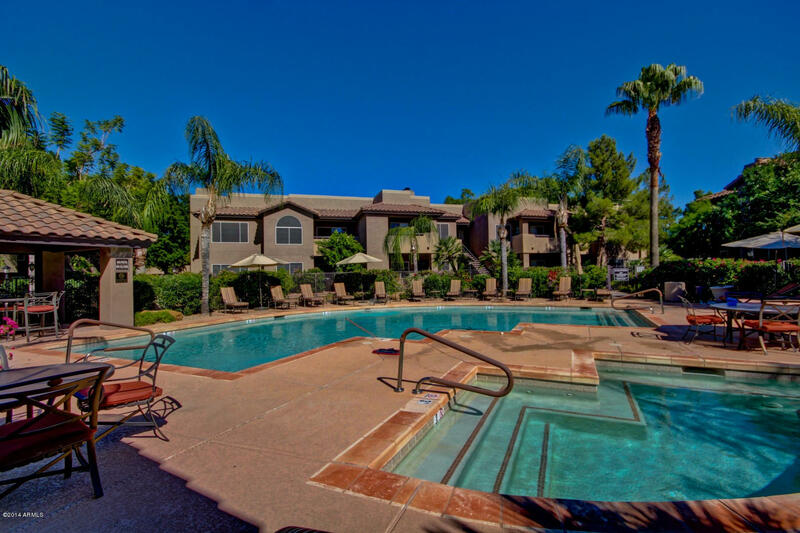 The Scottsdale Healthcare hospital complex is right across the street. 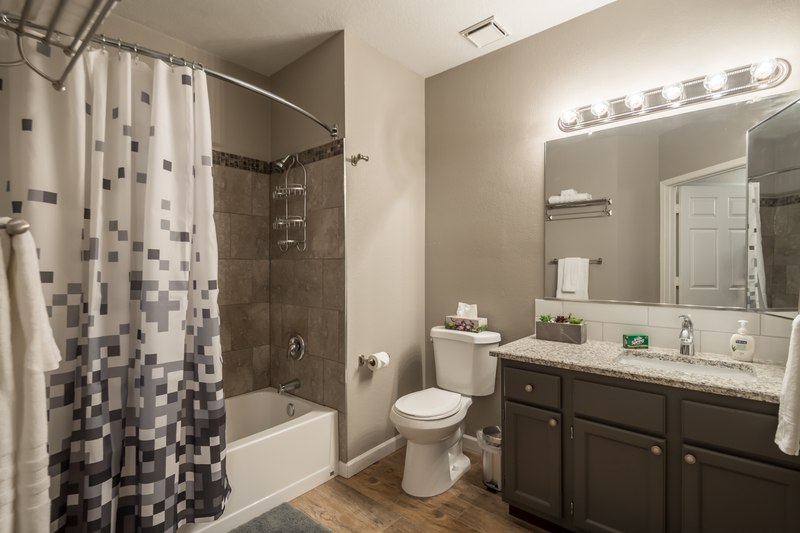 Plenty of retail is a few blocks away such as Frys, Home Depot, Borders, Best Buy, Sprouts, Whole food and lots more. For dining there are many family and high end options close by. Take day trips to Frank Loyd Wright House, Grand Canyon, Sedona and Tucson. 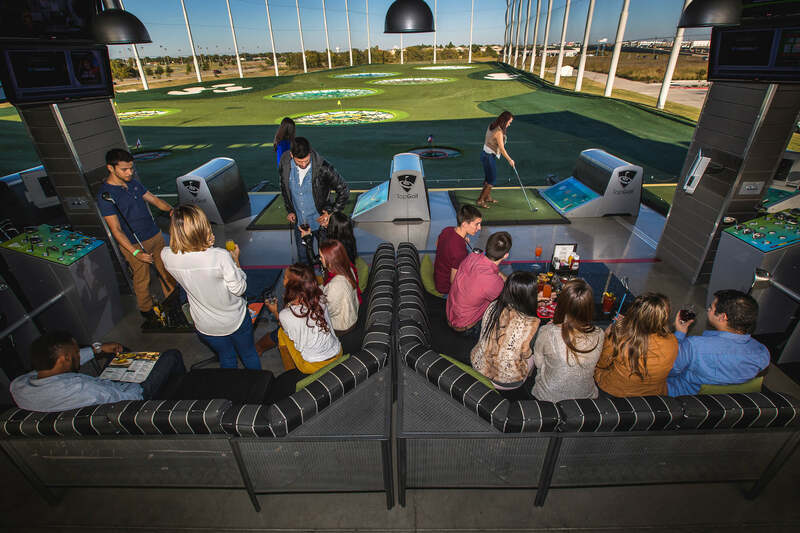 It is located just 6 miles from Mayo Clinic and 6 miles from TPC Scottsdale Champion Course which is home of the Phoenix Open and Birds Nest.